Working long hours and over time is not a new phenomenon in this industry. News recently broke that Tokyo-based Dentsu employee Matsuri Takahashi resorted to suicide due to overwhelming work pressures. In a press statement to Marketing, a Dentsu spokesperson explained that several initiatives to curb the problem of overworking have been implemented. One of these initiatives is the Dentsu Workstyle Innovation initiative, which was launched in September last year, and was fully implemented company-wide in April this year. The initiative calls for a ban on coming in early the following morning before 9:30am if an employee was found to have worked overtime the night before from 10pm to 5am. It also ensures that staff do not work overtime at least once a week. However, this problem is not isolated to Dentsu alone. This is not the first time overworking has claimed the life of an advertising professional. In 2013, Mita Diran, a copywriter at Y&R Indonesia, died after working for more than 30 hours consecutively. In the same year, Ogilvy PR China also saw the loss of an account executive, Li Yuan, who died of a heart attack related to overwork. Simply put, agency life is tough. And some might argue that it is even harder for the smaller local players who often have a lack of resources, yet are vying for the same accounts as the big network players. “In our business, long hours are often endemic. However, this needs to be balanced with flexible work hours, time off and ensuring such occurrences are not the norm,” Ng Khee Jin, founder of local ad agency Wild Advertising & Marketing, said. He explained that in the case of Wild, repeated overtime and working weekends is something which is discouraged as staff health and morale will inevitably be affected. Hence staff members are often told to leave on time whenever they can. While that might be corporate policy, he added that there are numerous reasons why overworking still persists. Staff members are often told to leave on time whenever they can. 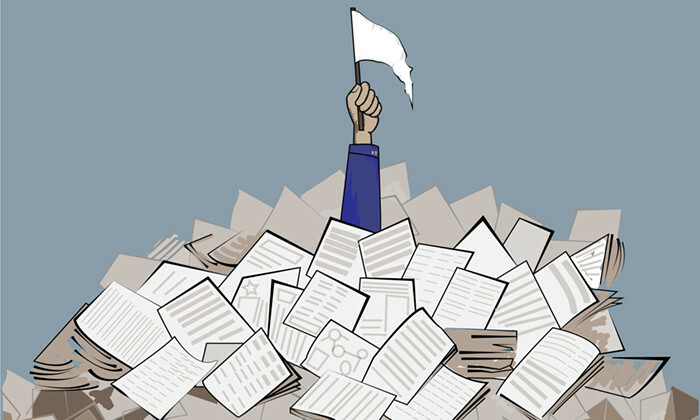 While that might be corporate policy, there are numerous reasons why overworking still persists. “Some individuals really don’t know when to stop and will literally work themselves to death,” he said adding that in such cases, a responsible and sensitive supervisor should see the signs and intervene. Sadly, that is sometimes the Singaporean work ethic, which is acquired from years of schooling. However he added that sometimes the pressure is put from the top. “There are also bosses who are workaholics and expect their subordinates to be like them. If-I-can-come-back-on-a-weekend-why-can’t-you bosses are at best stupid and egotistical,” Ng said. As such, Ng believes a good boss also knows when to ask his/her teams to stop. Sometimes the solution can be as simple as keeping a close watch on the well being of your employees. According to Jude Foo, business director at Govt Singapore, one measure to take is having regular catch-ups with team to ensure everything is alright. It is also important to encourage employees to not be afraid to voice out issues at work with managers and even the management team. “This ensures that no one ever feels helpless or alone in a difficult situation, and allows us to help provide solutions or guidance as a team, agency or family,” Foo said. There are bosses who are workaholics and expect their subordinates to be like them. If-I-can-come-back-on-a-weekend-why-can’t-you bosses are at best stupid and egotistical. Local agency Goodstuph, introduced mandatory off-in-lieu leave about a year ago. According to its founder Pat Law, this means that hours worked overtime are to be paid back with rest days which one must take within a period of three months. For pitches, win or lose, key leads for each team are also held responsible for taking employees on the team out for rest and recreation. “Long hours and late nights are inevitable in our industry but it’s important that the hours burnt are warranted for. So no, if a client calls at 7 pm asking for a last-minute report by 11pm with no real urgency, we will say no,” Law said. Are office party bills the boss's responsibility? And with office stress levels in Hong Kong soaring, why aren't bosses doing enough to tackle mental health in the workplace?..